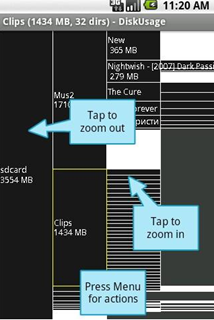 You are here: Home » Tip: How to Free Up Space on Your Android Phone? My friends know that I am an iPhone fan but I always have an eye for all things Android. I just came across a nice article on Read Write Web on how to free up space on your Android Phone. 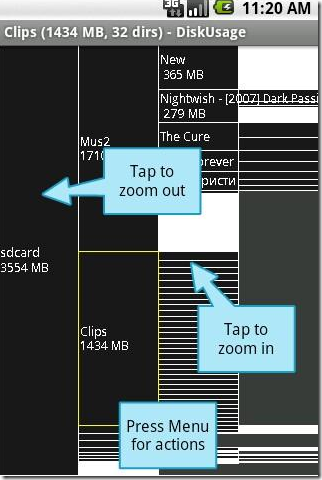 Move apps to your SD/USB card storage with a free app like App 2 SD. Analyze Disk usage to find other issues with apps like SystemPanel app or DiskUsage app. Deal with your Contacts Storage size issues. If you have rooted your phone, you can also consider moving your Contacts database to SD card. The article at RWW goes into each of these in detail and I highly recommend a read through.